Hey Holly Golightly: What does 50kgs look like? What does 60kgs look like? What does 70kgs look like? If you have ever been on a diet you will know that feeling of trying to get to a magic number on the scales. But that weight on the scale is often a poor indication of your heatlh and how great you are looking. 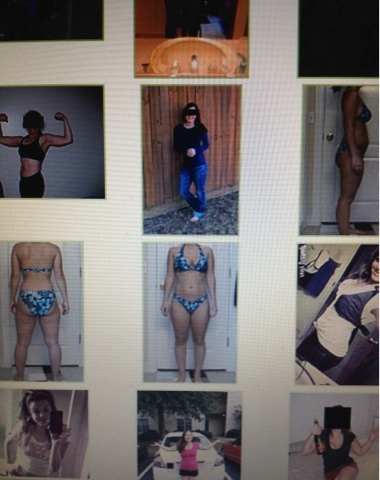 The website My Body Gallery allows you to punch in your measurements and see other bodies that weigh the same as yours. Oh dear, that's an eye-opener! Thanks for posting the link. Along a similar line, it's helped me to imagine each pound I've lost as a pound of butter. Picturing 10 pounds of butter all stacked up has been a good motivator to keep that weight off.